Wake Up is an adventure game developed by Philisophic Games, it lets you explore dreams with tricky puzzles and horrors unlike anything you’ve seen before. The game is inspired by 90s classics such as Resident Evil, Silent Hill and the brilliant TV series Twin Peaks. 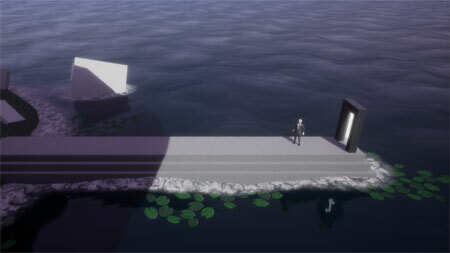 Those inspirations takes shape in fixed camera angles and tank controls, surreal environments and cryptic storytelling. The game features fantastic dream-like graphics and cool sound effects made by Mikko “Mishicu” Aaltio. If you get stuck in the game, check out the video walkthrough and gameplay for the game. This entry was posted in PC Games, Walkthrough and tagged Wake Up Cheats, Wake Up Game, Wake Up Gameplay, Wake Up Guide, Wake Up Hints, Wake Up Review, Wake Up Solutions, Wake Up Strategy, Wake Up Tips, Wake Up Walkthrough by Marvin. Bookmark the permalink.